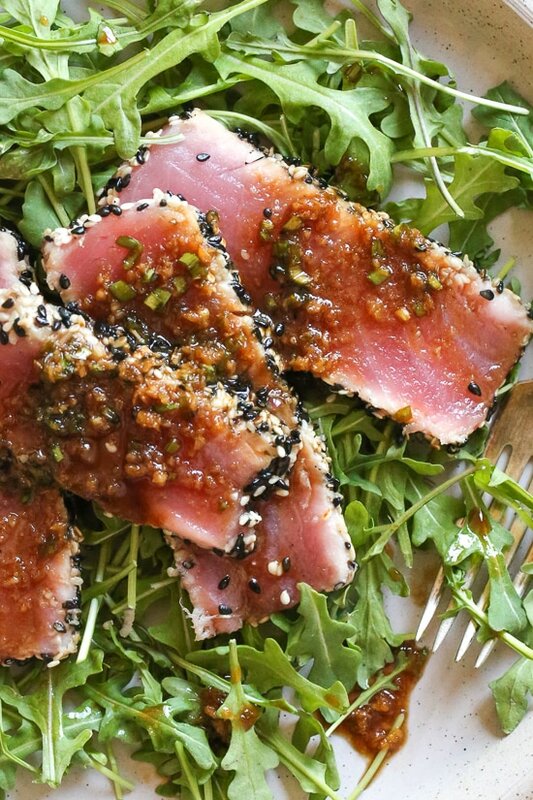 Sesame Crusted Tuna Steak on Arugula drizzled with a balsamic soy-ginger vinaigrette – yum! Seared or raw tuna is one of my favorite fish to eat whether I’m having sushi, ceviche, poke bowls or salads like this. Some other tuna recipes I love made with sushi grade tuna are Ahi Tuna Watermelon Salad and Seared Tuna Salad with Wasabi Butter Sauce.